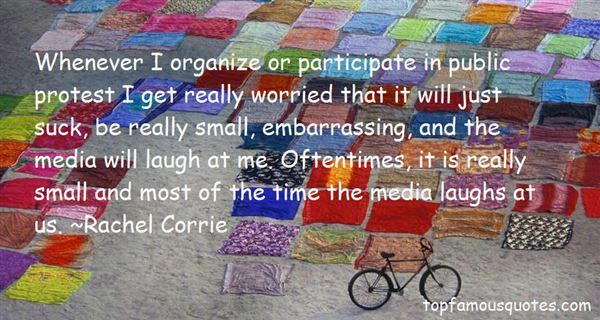 Reading and share top 16 Rachel Corrie famous quotes and sayings. 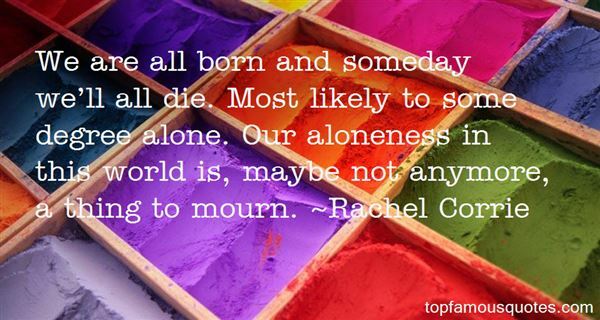 Browse top 16 most favorite famous quotes and sayings by Rachel Corrie. Life is over so quickly. It is possible to reach the end with no regrets. It takes some bravery to live it right, to honour the life you are here to live but the choice is yours. … Appreciate the time you have left by valuing all of the gifts in your life and that includes especially, your own, amazing self." What Did Rachel Corrie Talk About?